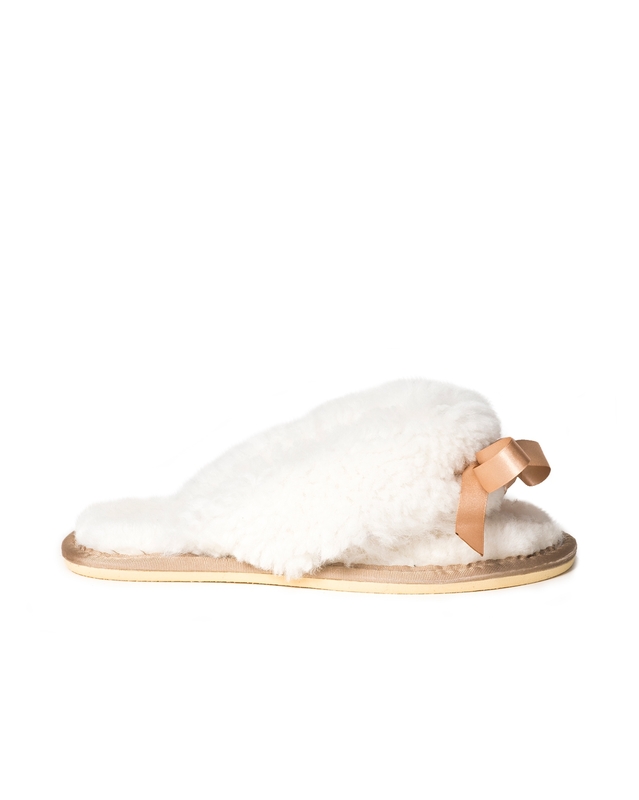 Gorgeously fluffy, with a sense of fun, these flip-flop slippers are made in Cornwall, from pure British shearling andfinished with satin bow-trimmed toe posts. When trying on your footwear for the first time, it may feel very tight across your toes and instep. This is nothing to worry about, as within an hour or so of wearing, the boots or slippers will loosen off as the wool starts to bed down and mould to your feet. So do not order a size bigger than you usually wear, otherwise they will end up too big for you. If you know you are a half size – then we recommend buying the size up unless you regularly buy down a half size. These were a gift and have been very gratefully received. Excellent, prompt service. I would gladly recommend you. The Dita Slippers are a birthday present for my daughter - she is delighted with them. Thank you Celtic & Co for making me look good and generous! Fabulous slippers, bought these for my sister, I’m on my 2nd pair and just love them. Feeling the need to buy a new black pair!